She is committed to diffuse in Italy the culture of the Digital Signage. I attended the German School from Kindergarten the end of High School (Scientific Studies). Charmed by the “foreign world” and passionate about communication, I started working for an italian publishing house realizing marketing studies, interviews to entrepreneurs and articles on European technological development. Later on I moved to Germany for a year, where I met my husband and since then, I worked together with him to open a window on the world. For the last 15 years we have been working on commercial relationships between Italian companies and foreign countries. The main aspect of our job is the opening of new markets. The experiences of interaction with people with a different personality, culture, use and positions to mine brought me to adapt my way of being and of acting in a more open way. Nothing can be assumed: the communication is the very basis of a good business. 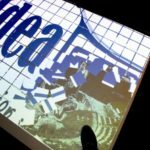 For this reason we now work for IdeaTV, the digital communication division of Gruppo IdeaPM and we engaged in the task of spreading the culture of digital signage in Italy.